Georgia Tech are working with us here in Lakeshore this week during their fall break. 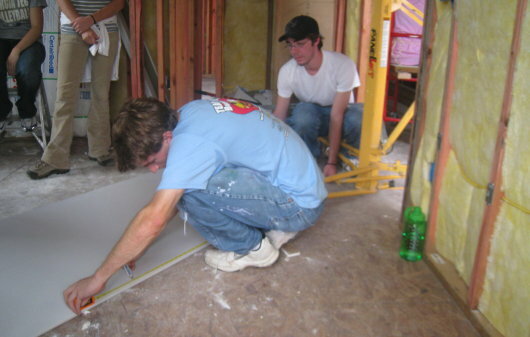 They have been hanging sheet rock throughout one of our new construction houses today. I was just thinking – it was this past extended weekend (Friday-Tuesday) three years ago, during my fall break at Georgia Tech when I made my first trip to Lakeshore with a group from my church. 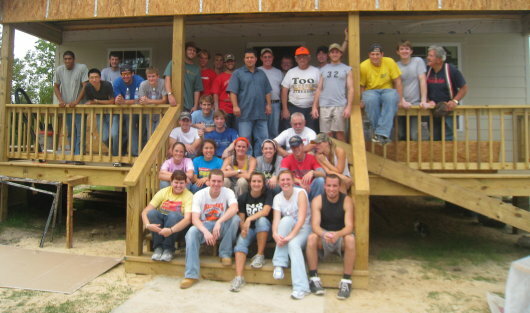 I’m encouraged to see more students from Tech use their fall break that they could have spent doing something else, but instead chose to use it to glorify God through rebuilding peoples’ homes. Yes – I saw that – that’s a good one! This is just awesome! 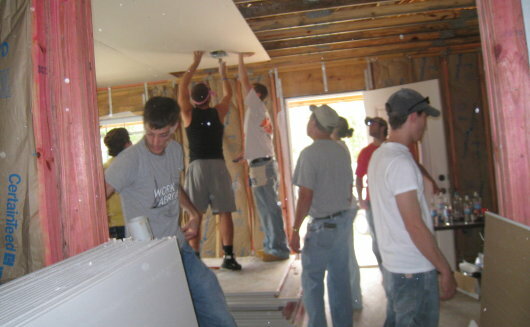 We Virginia folks, who helped with building this house, have had answered prayers by God sending these fine Georgia Tech people to get the sheetrock up. Aren’t college kids GREAT?? You’ll see JoEll! How is your college kid, Brother Don? This is so cool, I am one of the Va folks in on this. We were so in hope & prayer of the sheet rock getting up. Although a Va Tech fan this group from Georgia Tech surely ROCKS! Hope to be back in Lakeshore in a couple of weeks & get this house finished & get the Cobb family in before Thanksgiving. Way to go “Jackets” you guys are awesome.